MITT's 2019 14-week off-season Linemen Academy is around the corner! Opening Day for 2019 took place on Saturday, February 23rd, 2019 at Villa Park HS (MITT SoCal) & Pittsburg HS (MITT NorCal). MITT camps will take place every Saturday following Opening Day and will be held at various Southern & Northern California locations! Continue to check back over the next few weeks for further dates and location information. 2019 MITT camps will run from February 23rd through June 15th, 2019. ​We look forward to seeing you all there. Let's get back to work! Under Jesse Sapolu’s tutelage, students will gain better knowledge and understanding of the fundamentals of offensive and defensive line. MITT Academy is designed to cater to linemen of all ages and is the best opportunity for athletes to continue to improve and learn in the off-season. Camps takes place every Saturday and give young athletes the opportunity to learn all the nuances about the Offensive and Defensive Line while getting to compete against other top linemen in the country. Follow @SapoluMITT on Facebook, Instagram & Twitter for live updates. MITT Northern California - Details for 2019 Off-Season coming soon! By popular demand, MITT is now available in Northern California! Jesse Sapolu's Men In The Trenches will bring it's Linemen Academy to the Bay Area. The one-of-a-kind, linemen-only camp will begin in February 2019. Look out for more details at the end of the year. A chance to compete against and learn from other top linemen in Southern California. Perfect the art of pass protection, different approach depending on DT or DE alignment. Basic 1-on-1 run blocking. The power step and why the second step is just as important. Zone run blocking concept and different combinations of zone blocking. 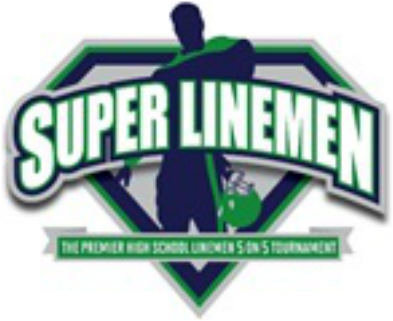 The 5th Annual Super Linemen Tournament is a free event that gives over 380 High School Football Linemen the opportunity to compete in a one-on-one focused tournament. Teams competed against other high schools and showcased their skills and technique in a competitive and fun atmosphere. Go to www.superlinemen.org for more information and coverage of the event.